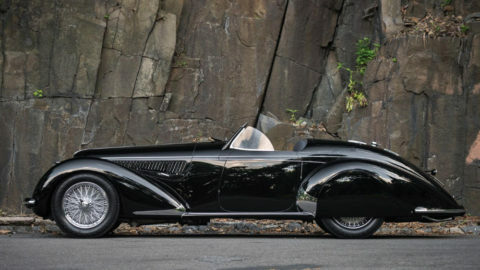 Two 1939 Alfa Romeo 8C 2900s, ten Ferraris and a McLaren are the only cars ever to have sold for between $15 and $20 million at public auctions. A 1939 Alfa Romeo 8C 2900B Lungo Spider was the most-expensive pre-war car when it sold for nearly $20 million in 2016. It was joined on the list by a 1939 Alfa Romeo 8C 2900 Touring Berlinetta in 2019. The Ferraris include four racing cars and six California Spiders. The works team 1957 Ferrari 250 Testa Rossa racing car held the world record for most-expensive car sold at public auction for two years from 2011 to 2013 while the Alfa Romeo held the record for the most-expensive pre-Second World War car ever sold at auction from 2016 to 2018. 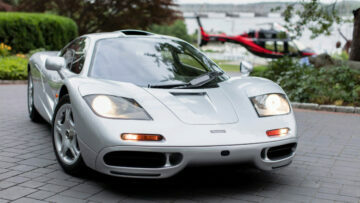 The 1995 McLaren F1 sports car is the the newest car on this list. The list takes only cars into consideration that have sold at standard public auctions. It also uses only nominal prices and exchange rates at the time of sale. Despite the high prices, these cars are of course only in the second division – a handful of cars have sold for over $20 million. See also: The Most-Expensive Cars of All Time – $10 Million Plus for a full listing of cars selling for more than $10 million at public auctions. 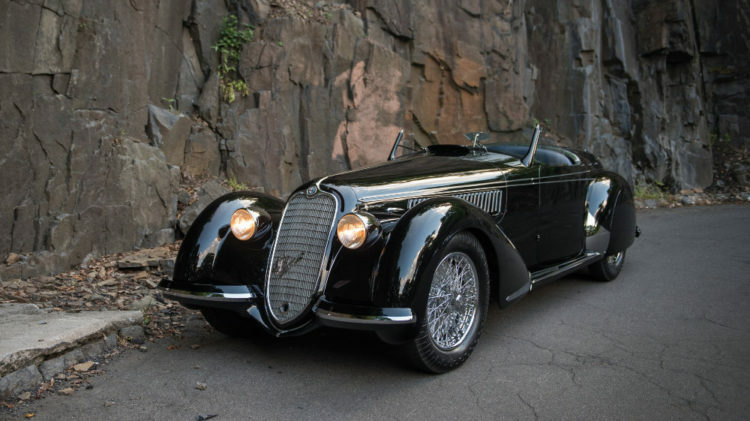 A new record for an Alfa Romeo and pre-Second World War car was set when a 1939 Alfa Romeo 8C 2900B Lungo Spider by Touring sold for $19,8000,000 at the RM Sotheby’s Monterey 2016 classic car auction. The previous record for a pre-war car was $11,770,000 paid for a 1936 Mercedes Benz 540 K Spezial Roadster at Gooding Pebble Beach 2012. Only 32 of the Alfa Romeo 2.9 chassis were ever produced of which only 12 were fitted with Touring Spider bodies and only seven on the long chassis. Despite some uncertainties about the history of the Alfa, bidders were willing to pay this high price for a beautiful car. A 1939 Alfa Romeo 8C 2900B Touring Berlinetta sold for €16,475,000 ($19,256,750) as the top result at the Artcurial Paris Rétromobile 2019 classic car auction. This was by far the highest result at the February 2019 Paris auctions. 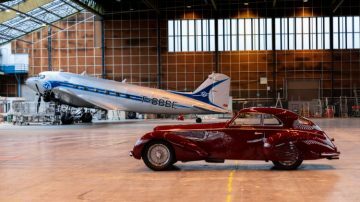 It is also the second highest result ever achieved on a car by Artcurial and the second most-expensive Alfa Romeo ever. The 1939 Alfa Romeo 8C 2900B Touring Berlinetta, chassis #412024, was the second of only 5 examples built with the Carrozzeria Touring Berlinetta coachwork. It was delivered new in Italy in 1939, but was transported to England later that year. It has been in the same ownership for the past four decades and is registered on Dutch plates. Of the five Touring Berlinettas built, three were restored in recent years in North America – two won Best of Show at Pebble Beach (2008 and 2018) – and the final one is in the Alfa Romeo Museum. 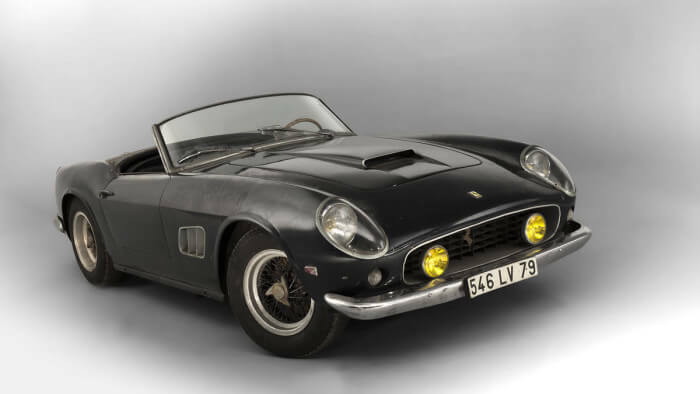 The €16,288,000 ($18,649,760) paid for a 1961 Ferrari 250 GT SWB California Spider, chassis 2935GT, at Artcurial’s Paris 2015 Rétromobile auction is probably one of the craziest results ever. This California Spider was part of the Baillon Collection – a magnificent barn-find collection that Artcurial sold for prices often far exceeding estimates. Ferrari 250 GT California Spiders are rare – only 37 were ever made with bodywork by Scaglietti on the short-wheelbase chassis. Two further models sold for over $15 million in recent years. The Baillon California Spider has never been restored and although it is probably the most original of all the surviving models, it also probably the one requiring the most attention to bring it back to a serviceable condition. The 1954 Ferrari 375-Plus Sports-racing Two-Seat Spider Competizione with coachwork by Pinin Farina was one of only five built as Ferrari factory entries. This particular 1954 Ferrari 4.9-litre 375-Plus Sports-Racing Two-Seat Spider Competizione won the Silverstone sports car race in 1954 driven by José Froilán González and participated the same year as a works entry in the Mille Miglia and Le Mans (won by a sister car). As a private entry with Ferrari support, it participated in the 1954 Carrera Panamericana in Mexico (won by a sister car) and in 1955 in several races after Jim Kimberly had acquired it. 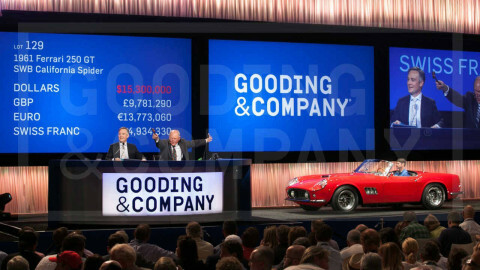 A 1959 Ferrari 250 GT LWB California Spider Competizione sold for $18,150,000 at Gooding’s Pebble Beach 2016 classic car auction as the most-expensive car ever sold by Gooding. 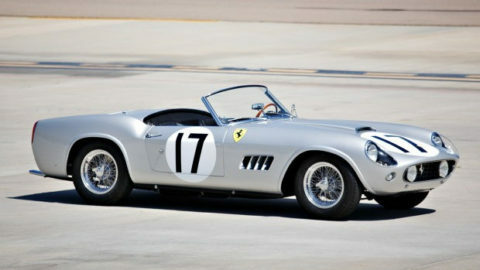 At the time of sale, it was also by far the highest price ever paid for a long wheelbase California Spider. The alloy body 1959 Ferrari 250 GT LWB California Spider Competizione has an in-period racing history that includes a 5th place overall finish at the 1960 12 Hours of Sebring race. A 1959 Ferrari 250 GT LWB California Spider Competizione sold for $17,990,000 at the RM Sotheby’s New York Icons 2017 sale. Despite a fifth place overall at the 1959 Le Mans 24 Hours Race, where it was driven by owner Bob Grossman for the NART team, it just failed to take the model record set a year earlier. This 1959 Ferrari 250 GT LWB California Spider Competizione was the second of only eight aluminium bodied California Spiders produced in full competition specification. A 1964 Ferrari 250 LM by Scaglietti set a new model record of $17,600,00 at the RM Sotheby’s 2015 Monterey classic car auction. 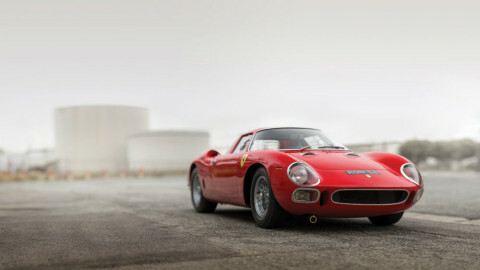 This 250 LM was the 23rd of 32 produced and considered to be one of the best surviving examples. This specific model, chassis 6105, was not a works entry but successfully raced in period by privateers Ron Fry, David Skailes and Jack Maurice. Although raced hard, this LM never suffered a major accident requiring a rebuilt or write-off, as was common for racecars of the era. 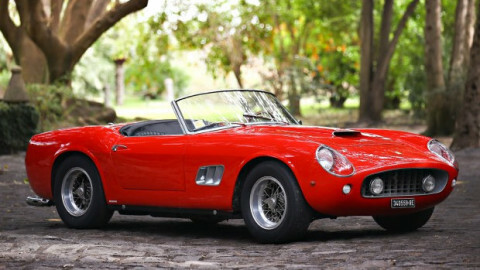 Gooding set a new Amelia Island auction week record when a 1961 Ferrari 250 GT SWB California Spider sold for $17,160,000 in March 2016. 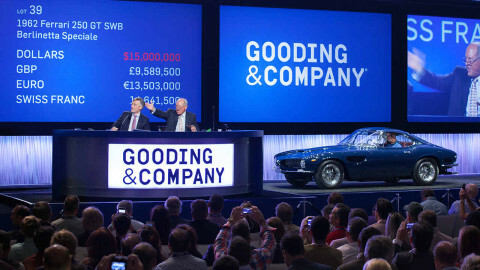 This was at the time also the highest result ever for a car sold by Gooding at public auction. This 1961 Ferrari 250 GT SWB California Spider, chassis 2871, had only three Italian owners with the vendor not having shown the car at public events since acquiring it in 1985. The car appeared briefly in Vittorio De Sica’s Academy Award®-winning feature film, Yesterday, Today, Tomorrow, when Sophia Loren hitched a lift after crashing her Rolls Royce. Although unrestored, this California Spider is in a very well-maintained condition. 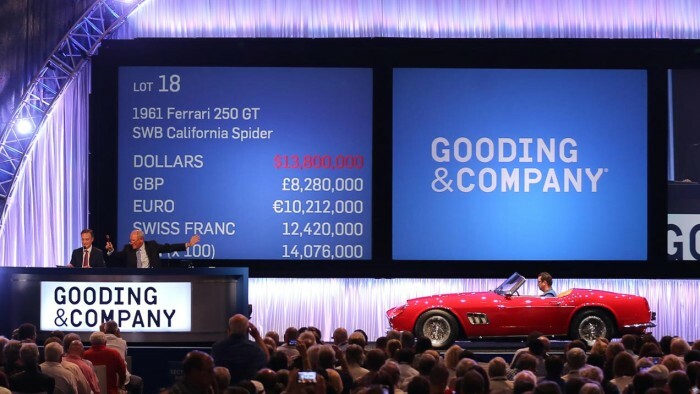 The $16,830,000 that was paid for a 1961 Ferrari 250 GT SWB California Spider, chassis 3095GT, at the Gooding 2015 Pebble Beach auction confirmed how dear the Baillon California Spider was bought earlier in the same year. Like the Ferrari sold in Paris, this 1961 Ferrari 250 GT SWB California Spider with coachwork by Scaglietti has never been completely restored and thus in a very original condition. However, this car is in a very well maintained condition and has also not been shown at any major events. A Ferrari 250 GT SWB Berlinetta Speciale sold for $16,500,000at the Gooding 2015 Pebble Beach auction. This Ferrari has a one-off coachwork designed by a young Giugiaro for coachbuilder Nuccio Bertone, who was hoping to use it to impress (and obtain orders) from Enzo Ferrari. The Ferrari 250 GT SWB Berlinetta Speciale has a shark-nose inspired by legendary Ferrari racing cars and an interior far more luxurious than standard Ferraris. Failing to obtain any work from Ferrari, Bertone used it as his personal car. Pebble Beach 2015 was the first time ever that this special Ferrari was offered for sale at public auction. 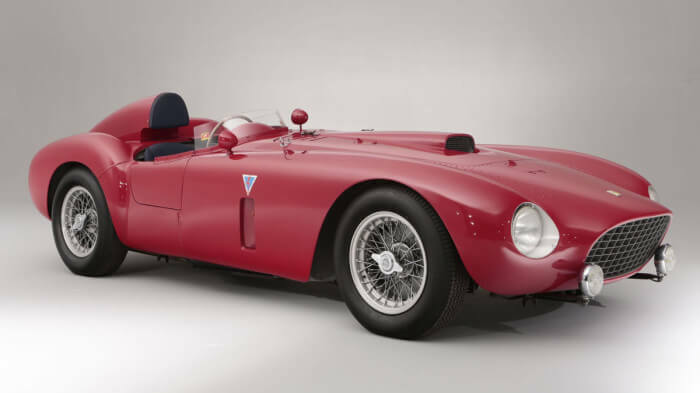 A 1957 Ferrari 250 Testa Rossa racing car set a new world record price for a car sold at public auction when it achieved $16,390,000 at the Gooding Pebble Beach sale in 2011. This racing Ferrari took the record price from a similar 1957 Ferrari 250 Testa Rossa that RM Auction sold for $12.4 million in Maranello in 2009. One of the main differences between these two Testa Rossas was that the more expensive one, by quite a margin, was an official works Scuderia Ferrari car and not raced by privateers. The 1957 Ferrari 250 Testa Rossa was the most-expensive car in the world until Bonhams nearly doubled the price to just below $30 million for the 1954 Mercedes Benz W196R Formula 1 racer in 2013. A 1995 McLaren F1 sold for $15,620,000 at the Bonhams Quail Lodge 2017 sale is the lone non-Italian car in the $15 to $20 million category. This supercar is one of only 64 built and famously sits three with the driver sitting centrally slightly forward of the two passengers. This 1995 McLaren F1 was the first of only seven McLaren F1 cars federalized for road use in the USA. The car was sold by its original owner with only 9,600 miles on the clock in a fully original condition without later factory updates. 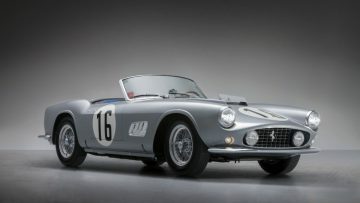 The 1961 Ferrari 250 GT SWB California Spider, chassis 2903GT, that Gooding sold for $15,180,000 at the 2014 Pebble Beach auction, set a new model record at the time before the two higher prices were achieved in 2015. The new owner probably only realized what a bargain he got when the barn-find condition Baillon California Spider sold for $3.5 million more a few months later and a second unrestored California Spider for $1.65 million more a year later. The Most-Expensive Cars of All Time – $10 Million Plus for a full listing of cars selling for more than $10 million at public auctions.